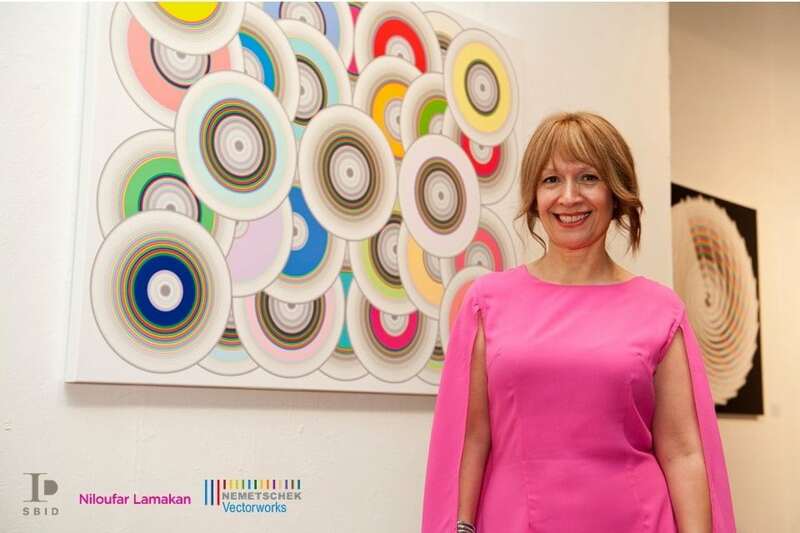 SBID member Niloufar Lamakan is an artist with an innovative and technical approach to producing her works of art. Already an award winning interior designer, she uses her interior design tools, such as building design software, fabric, and wallpaper, to produce her art. She works mostly in digital art and printmaking. Her upcoming exhibition ‘Fade’ explores the concepts of beauty and aging in an increasingly youth oriented world, obsessed with perfection in women. Challenging the idea that life starts with youth and vibrancy, and fades into invisible greyness, Niloufar Lamakan is concerned with how people interact with colour at different stages of life.